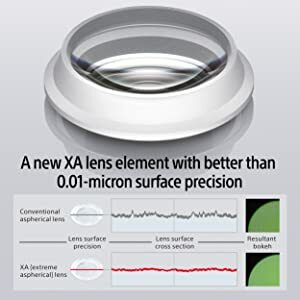 Built with three aspherical elements including a newly developed and essential ingredient for astonishing resolution – is a new XA (extreme aspherical) lens element with better that 0.01-micron surface precision. 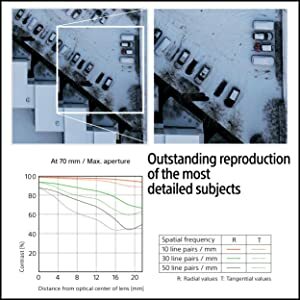 The extremely precise XA element reduces aberration and delivers the ultimate resolution throughout the entire zoom range and aperture range, as well as from corner to corner of all image files. 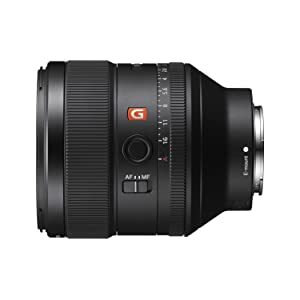 Constant F1.4 max aperture maintains exposure and depth of field regardless of the focal range you choose to zoom to. 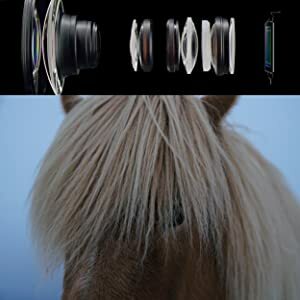 When changing your aperture to defocus the background, the areas out of the focal plane appear blurred. This ‘bokeh’ effect of the blurred background can be enhanced with circular aperture blades used in this lens. 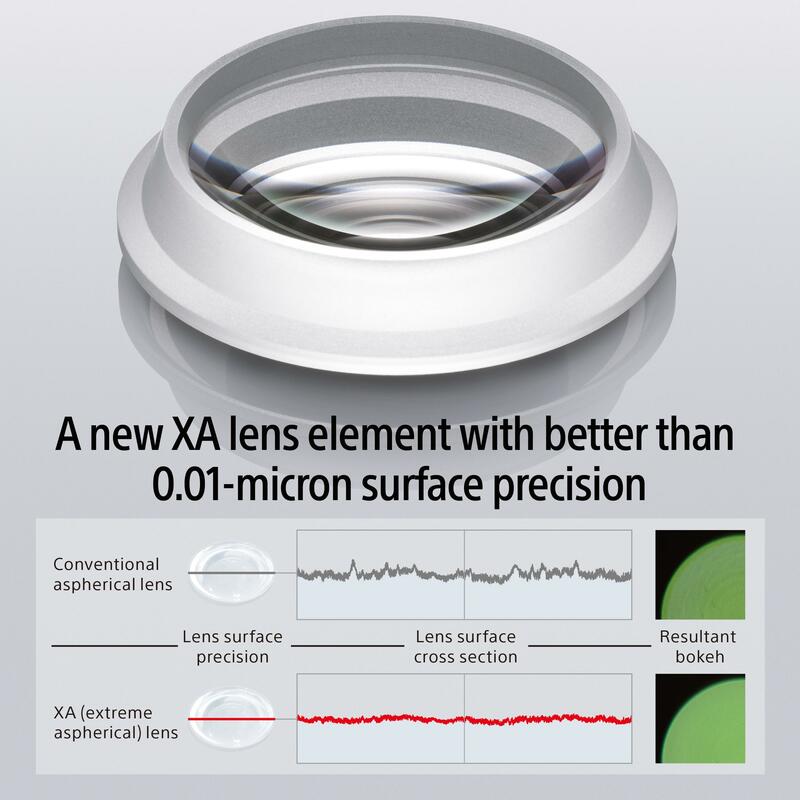 Complementing the performance of the XA element are the first 11-blade circular aperture ever implemented in an α lens, and exacting spherical aberration adjustment for each individual lens. 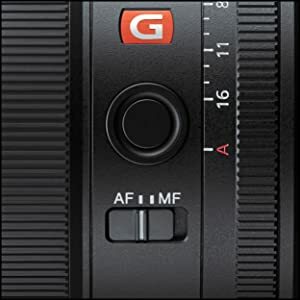 The result is enchantingly soft-edged bokeh that is a hallmark of the Sony G Master series. When changing your aperture to defocus the background, the light sources appear blurred. This ‘bokeh’ effect of the blurred background can be enhanced with circular aperture blades used in this lens. 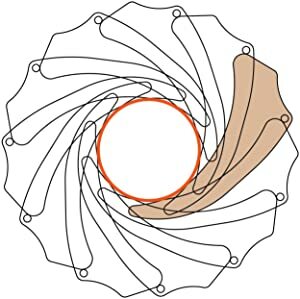 Conventional aperture blades have flat sides creating unappealing, polygonal shaped defocussed points of light. 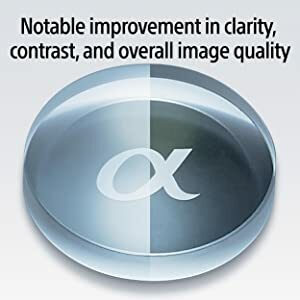 α lenses overcome this problem through a unique design that keeps the aperture almost perfectly circular from its wide-open setting to when it is closed by 2 stops. Smoother, more natural defocusing can be obtained as a result. Focus precision is vital when working with high-resolution images and a narrow depth of field. A ring SSM (Super Sonic wave Motor) yields the power and precision necessary to accurately and swiftly position one of the heaviest focusing groups in any interchangeable lens for mirrorless cameras, and a new multi-sensor system plus high-speed data processing provides the instantaneous feedback required for flawless autofocus precision. 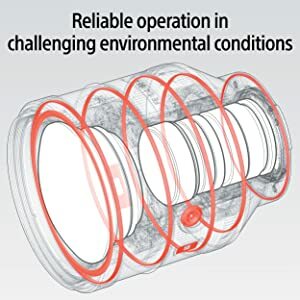 Sony’s standard lens sealing is augmented by a lens mount seal that maximizes resistance to dust and moisture for reliable operation in challenging environmental conditions. 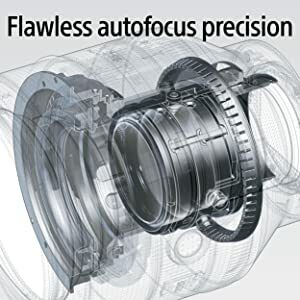 * Additional details like rubberized rings that are easy to operate in low temperatures, a zoom lock that prevents unwanted lens extension during transport, and a hood lock button, all add up to professional control and convenience. Sony, G Master, the Alpha logo and the Sony logo are trademark of Sony Corporation. 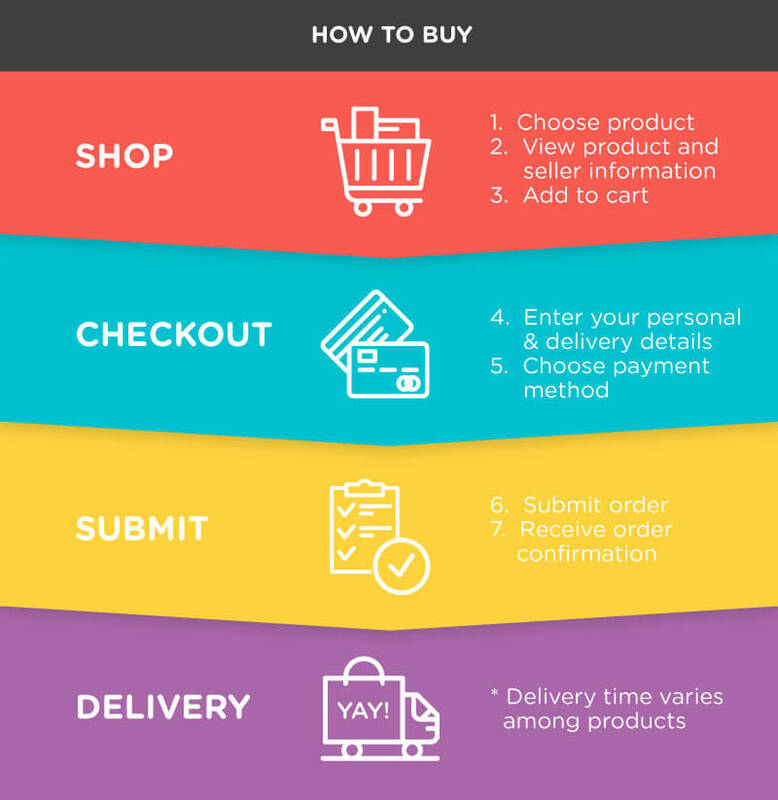 AVCHD is a trademark of Panasonic Corporation and Sony Corporation. All other trademarks are trademarks of their respective owners. 1 Although the design is dust and moisture resistant, absolute protection from dust and moisture is not guaranteed.